Go back in time and discover an excellent retro slot by Amatic - Hot 81.This slot will have you spinning the reels in no time for huge wins. It features characters which will get you reminiscing about the past when classic slots were the best slots and players would get hooked on them. Hot 81 is a 4-reel, 3-row slot and features 81 ways to win.So, get ready discover the treasures hidden in this slot as you spin the reels on this slot. One thing Amatic knows how to do is creating retro games. Hot 81, will give you a wonderful gaming experience. You may get disappointed by the retro feel of the slot but once you begin playing the slot, you will discover bonuses, surprises and wilds making this slot hot and exhilarating. The design of the slot is rather basic but the gameplay offered will get you hooked playing the slot. Hot 81 is set on a kind of juke box which will have you remembering the olden days when you would play fruit machines in a bar.The slot takes on a fruity theme plus there is a soundtrack which keeps on playing in the background. Whenever you land a win the tone changes alerting you that you have made a winning combination. The symbols are also animated whenever you land a win. all this makes the slot exciting to play.If you are looking for a slot which will have you excited, then this is the slot to choose. 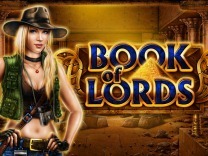 It is a low variance slot which means that you will receive regular pays between plays. It is recommended for all players who would like a no-nonsense game. Amatic has outdone itself yet again by ensuring that this slot is as retro as it can get. 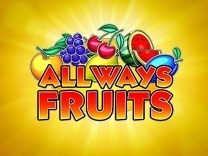 Unlike most slots which may feature flashy symbols, this slot gives you characters such as the lucky 7, bars, bells, cherries, oranges and lemons. These symbols are the high and low paying symbols in the slot. Instead of the regular ways to make a winning combination, this will only require you to match 4 symbols so as to receive a payout. The highest amount which is paid out is 500 coins while the lowest amount is 10 coins for the cherry symbol.Before playing this slot, you must understand the gameplay. You will be required to set a wager before you can win the juicy prizes. Players can set a wager through the bet button located at the bottom of the slot. Because players cannot alter the bet lines, you can only adjust the bet. The slot allows 10 coins as the minimum bet, while 1000 coins is the maximum. For those players who would like to avoid spinning the reels manually, then there is an auto start button. In Hot 81, you will find 81 ways to win which will give you multiple opportunities to make winning combinations with each spin. You have to match 4 symbols to receive a payout. All wins pay on any position from left to right.Watch out for the star symbol as this is the best symbol in Hot 81. Landing 4 of these symbols will award 1000 coins. Filling the entire reels with the star symbol and wild star will award 81,000 coins. 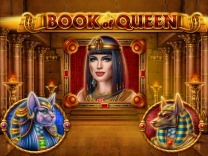 While the slot gives you a wonderful base game, players can be assured of excellent bonus features. The first bonus feature which you will interact with is the gamble feature. This feature is tied to the base game and will activate whenever you land a winning combination. This feature can only be activated manually, so players have to click the gamble button at the bottom of the slot once they lend a win. The gamble feature is presented as a card game where you have to choose between two colours, red and black. Choosing the correct colour will double your wins, but guessing an incorrect colour means forfeiting your wins. You can also quadruple your wins by choosing the correct card suit.Another feature which is included in this feature is the wild symbol. The wild symbol represented by a star and embossed with the word wild will substitute all other symbols on the reels. All symbols below the wild star symbol on the same reel will be transformed into a wild star symbol allowing you multiple wins.